As the economy rebounds and fiscal health stabilizes, mayors across the country are using their State of the City speeches to tout the progress their communities have made through hard work, innovation and collaboration. The State of the City speech is a mayor's opportunity to reflect on the city's recent accomplishments, current challenges and roadmap for the future. Its words provide unique insight into the state of municipal leadership, revealing the issues that matter most to city leaders. 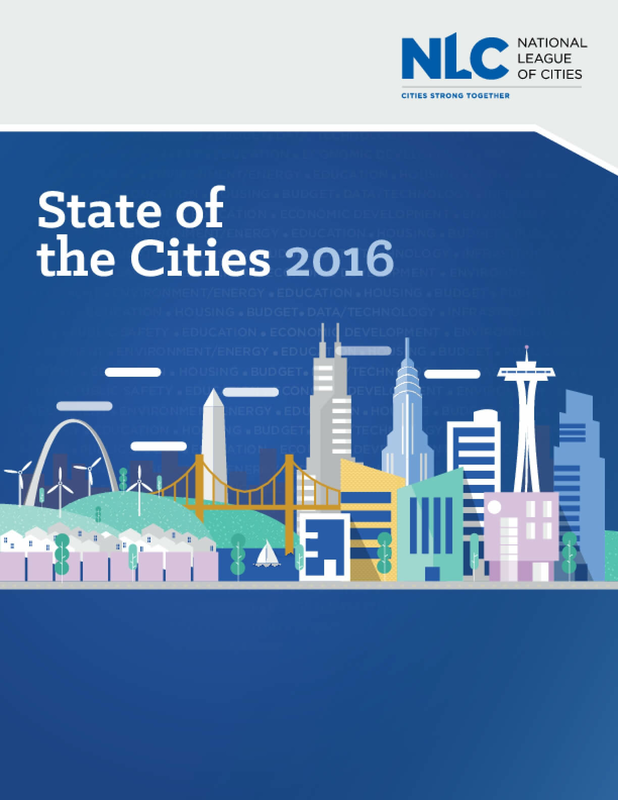 In 2016, mayors are focusing most on economic development, public safety, budgets, infrastructure and housing as broad strategies to advance their cities. The prominence of these top-line issues, or those receiving what we call "significant coverage" within mayors' speeches, has been consistent in the three years since we started the analysis. Economic development has been the most widespread issue addressed by mayors in 2014, 2015 and 2016. Infrastructure, public safety and budgets have remained in the top five, and education and housing have vied for a spot in the top rankings over the past few years. Copyright 2016 National League of Cities. All Rights Reserved.